Biffers and other right wing Nazi groups love this myth. 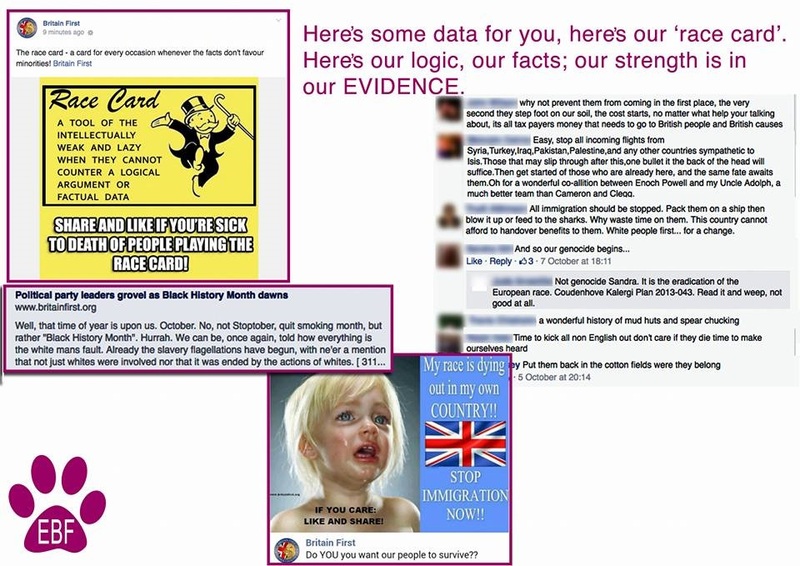 They think it gives their hatred some legitimacy, not that it ever really could. Unfortunately for the Nazi propagandists however, it’s not true at all. The reality is that Muslims despise ISIS in the same way that Christians despise Britain First and the Westboro Baptist Church. 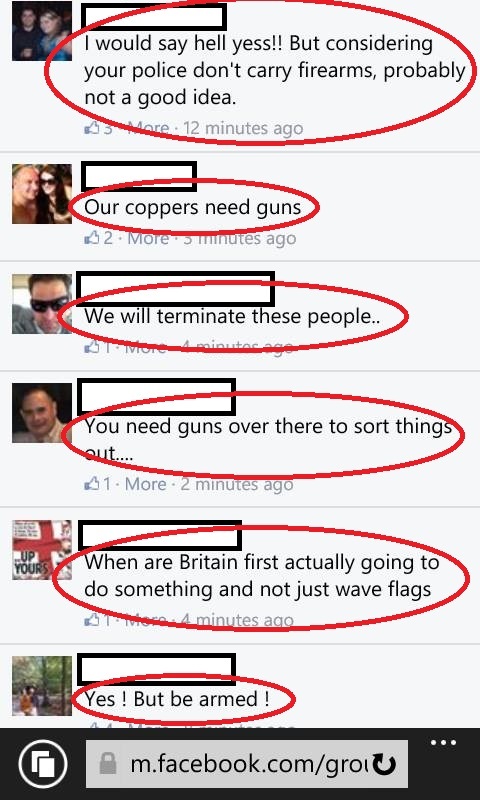 Reasonable people always despise the hate-fuelled extremists who claim to speak for them. 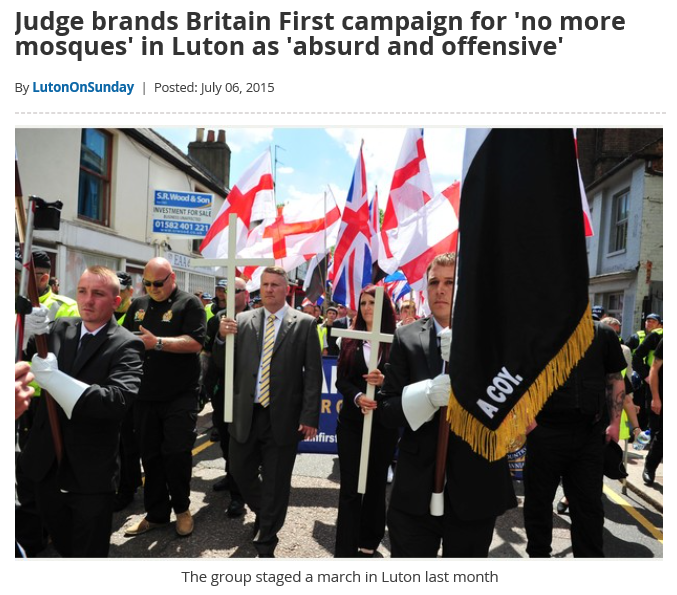 The same is true of the mainstream Christian response to Britain First. 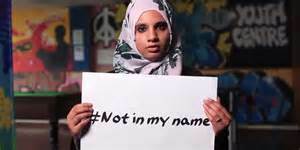 In truth, ISIS kills many more Muslims than anyone else. 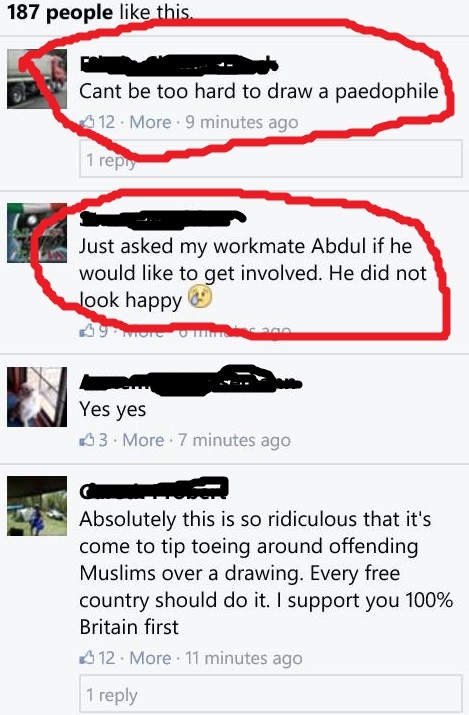 They do this because they meet opposition from ordinary Muslims wherever they go. So they use fear and intimidation to control an unwilling population (that they only took control of by force in the first place). ISIS has been denounced and opposed by Muslim Imams, groups and individuals across the world. 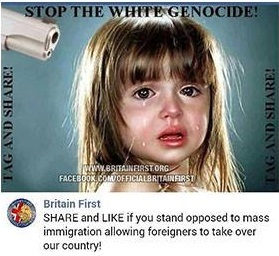 But of course Britain First’s biased Biffers won’t tell you that. Are you satisfied with the right wing press spoon-feeding you? 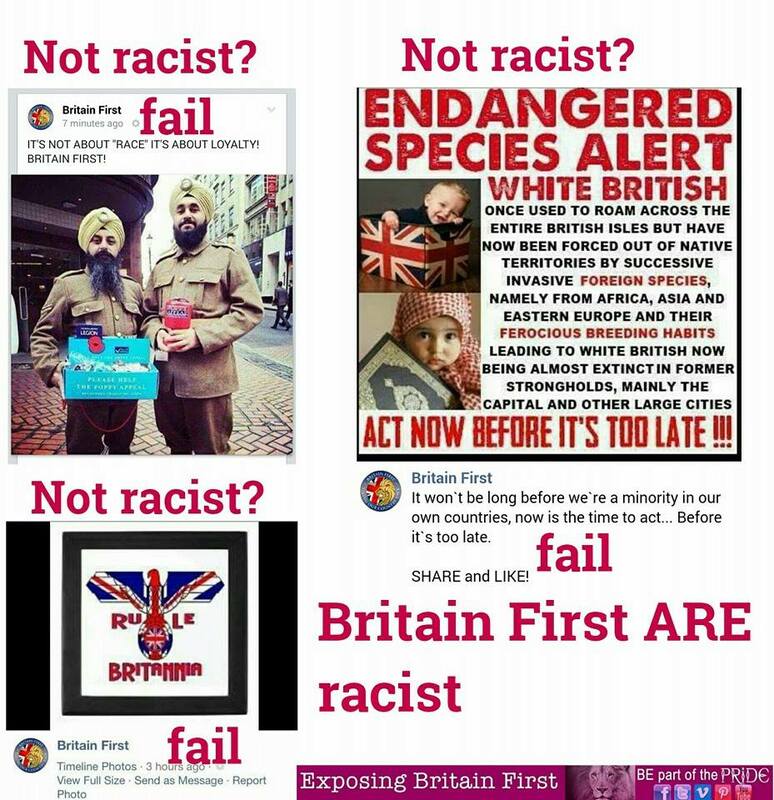 Are you happy with Britain First’s (Nazi) propaganda? Have you ever thought of taking responsibility for your own thinking? A good trick is to google the opposite of your beliefs to see if you’re right. 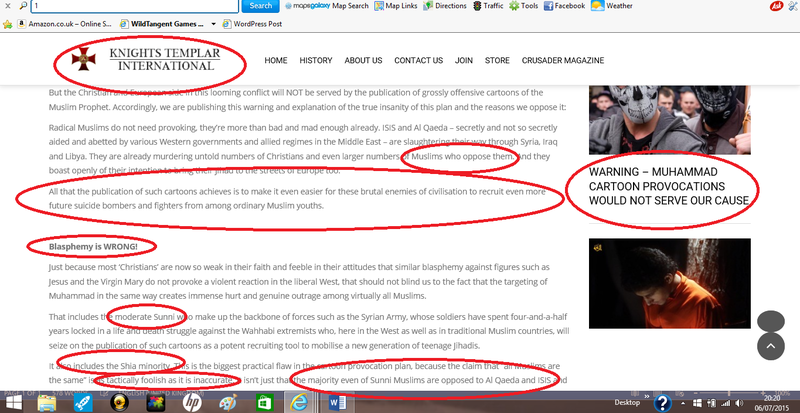 Try searching the net for ‘Muslims against ISIS’ or ‘Muslims oppose ISIS’. 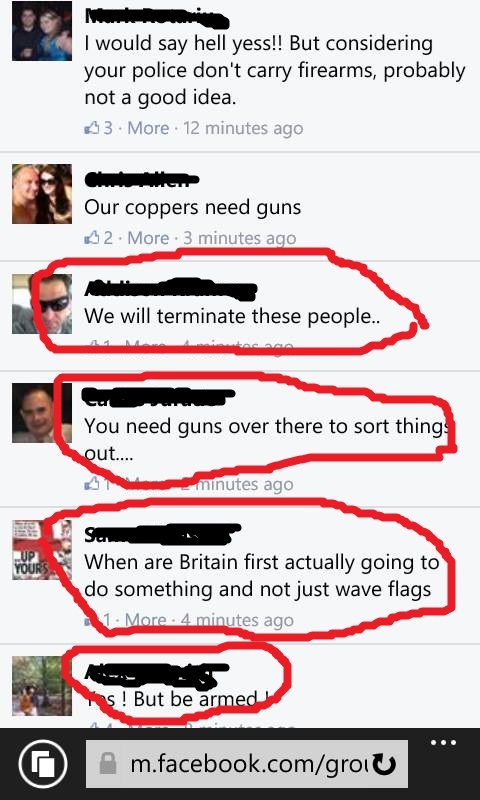 We could go on and on posting links about Muslims protesting against ISIS but we think that we’ve made the point with these few. Feel free to contribute your own in the comments though. As we know a recent competition in Texas resulted in outrage and ultimately death. 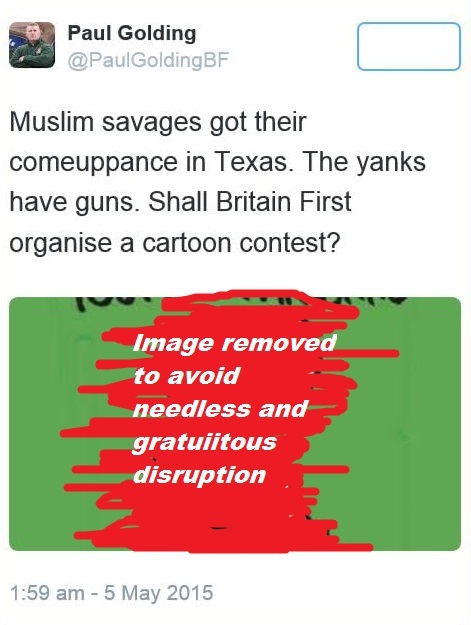 Held under the guise of an exercise in ‘freedom of speech’ the contest to create the best cartoon of Mohammed seems intended not to celebrate free speech so much as to inflame tensions among the Muslim population. 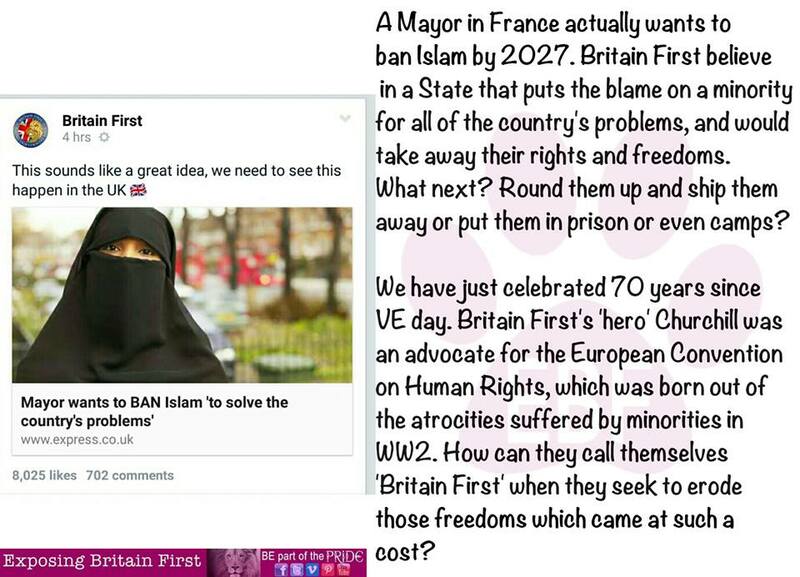 Unimaginative as ever, Britain First’s Fuhrer has had an idea. 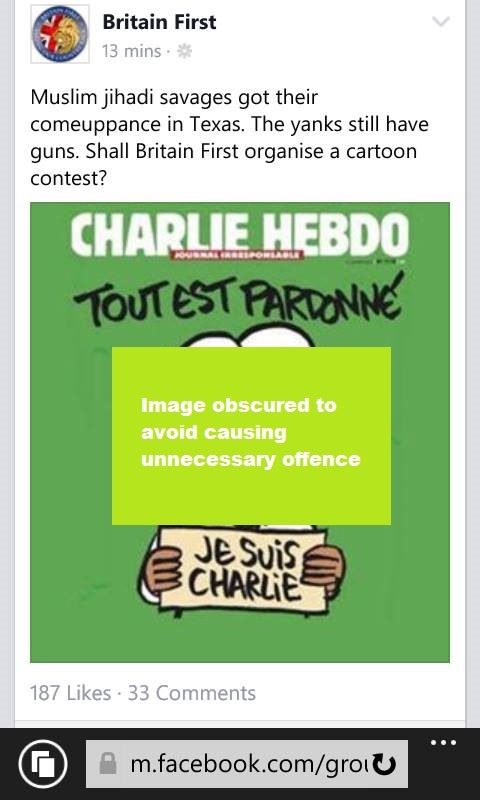 He’s decided to recreate the same fiasco here in UK. This less than illustrious leader of fascist wannabes has learned nothing from the Texans. He’s learned nothing from the reactions of decent people, outraged by his constant baiting of UK Muslims.Perhaps he’ll learn from his favourite religious book, The Holy Bible…. 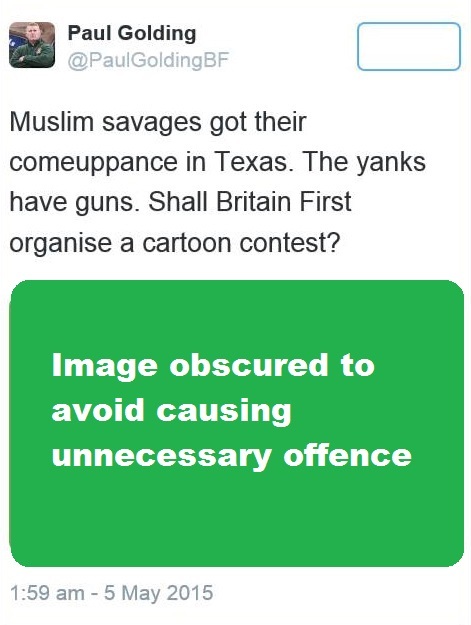 No doubt Golding and the rest of his impotent toy soldiers will frame this ghastly gallery in terms of freedom of speech. 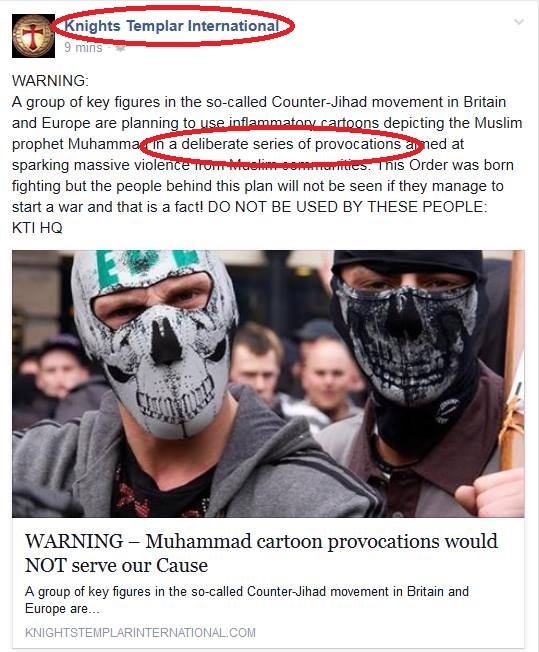 Not that anyone will believe that the fascists who intimidate and threaten all those who disagree are even remotely interested in freedom of speech. This is nothing more than the immature act of an overgrown school bully poking his classmates with a stick before running away to hide behind the teachers (or in Golding’s case, the Police).